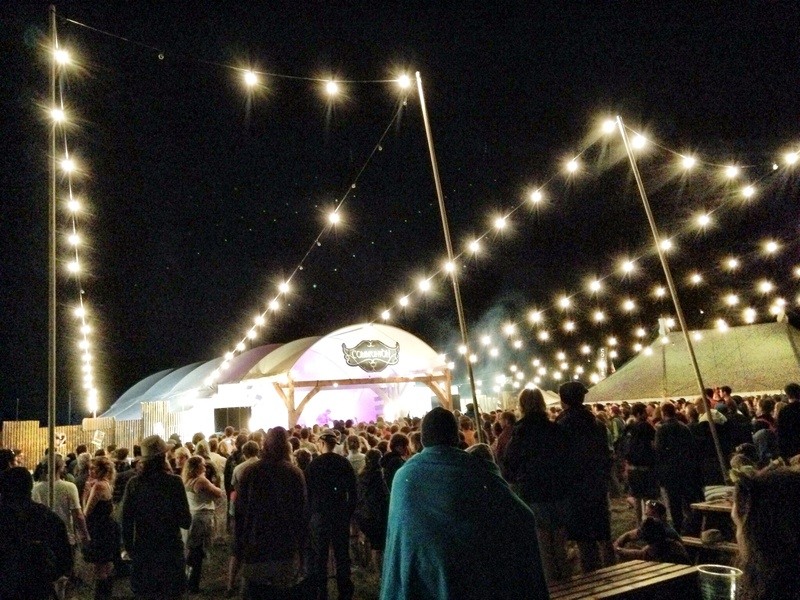 Continuing this summer’s emerging theme of music and partying and tents we have just had another fantastic weekend of very little internet – this time at the sensational Somersault Festival in North Devon. 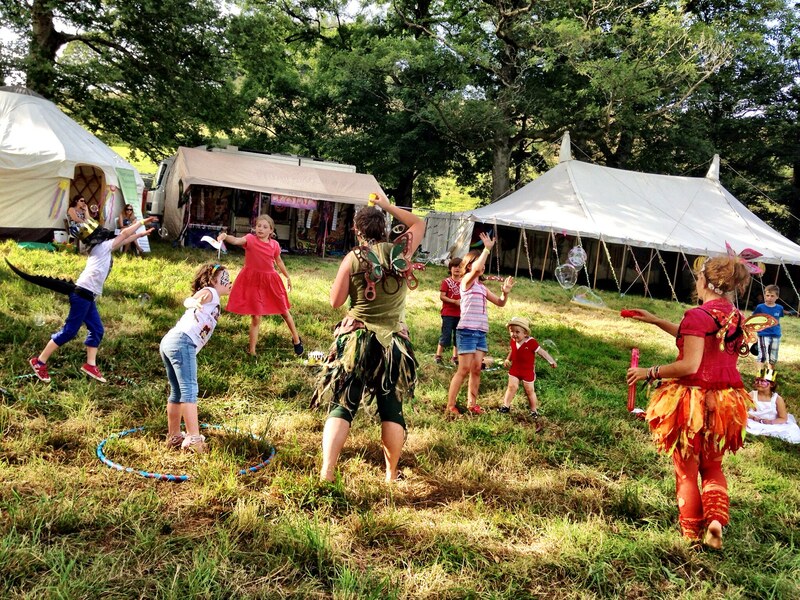 We arrived on Thursday morning and set up camp with two other families – it was hard to tell who was more excited as the anticipation began to build, but kids and adults alike were determined to have a good time. It wasn’t hard. 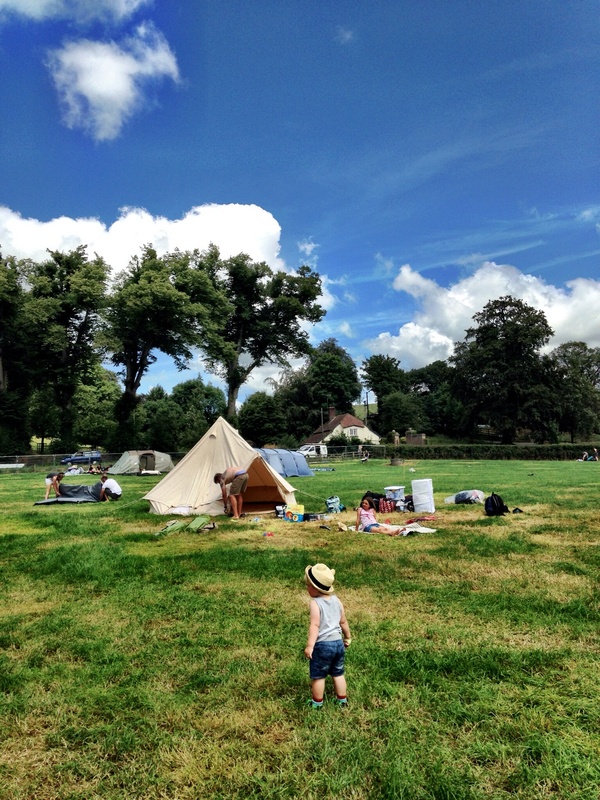 Our little camp was a brilliant base for the weekend’s festivities. 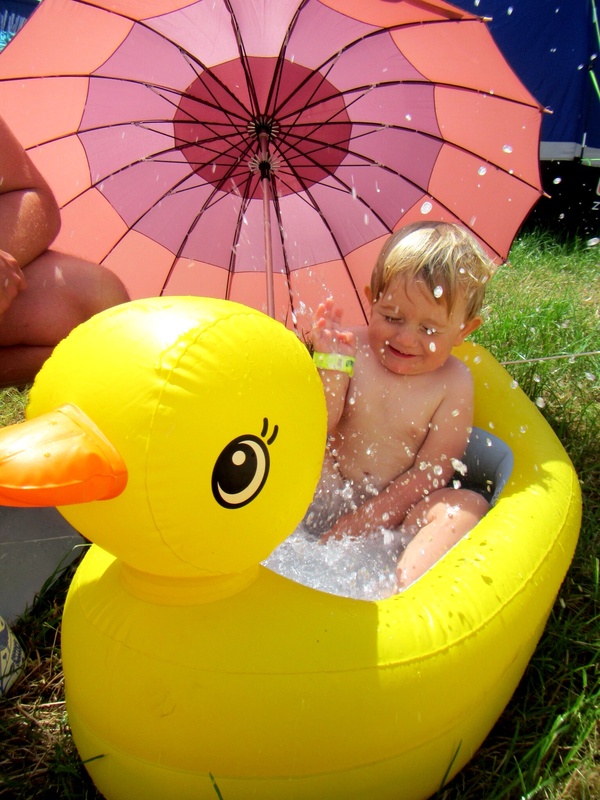 There were bubbles and body painting, duck baths and duelling ukeleles. Arthur loved being able to roll out of bed in his pyjamas and get straight into a new day’s play. 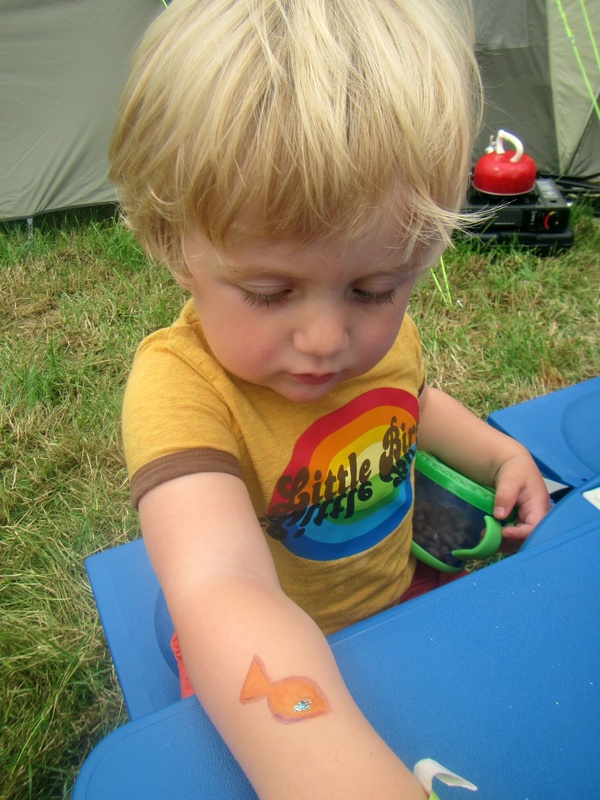 He’s becoming quite the seasoned little camper with all our adventures, and certainly seemed to sleep well in the tent with all the fresh air and excitement. 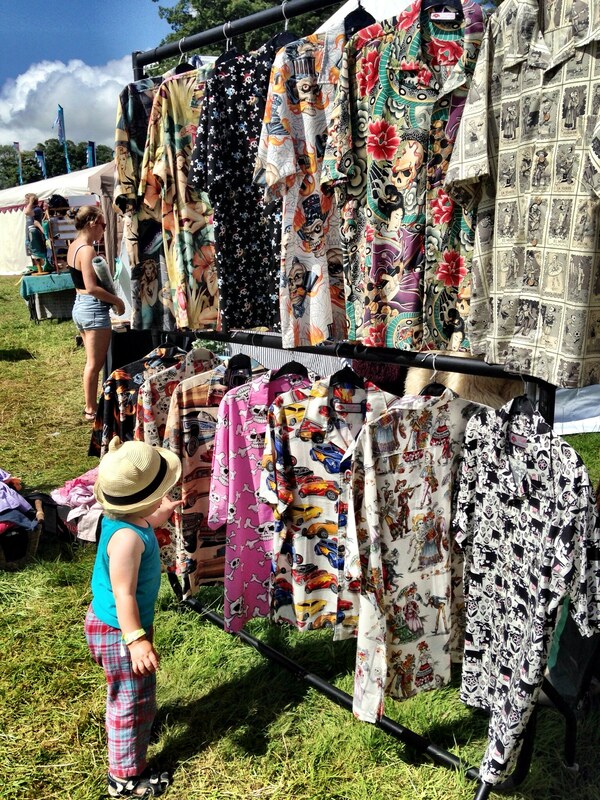 He loved exploring the festival site too – whether he was running around or cozied up in the sling, checking out the stalls or making new friends. We were all super impressed with the kids’ area. 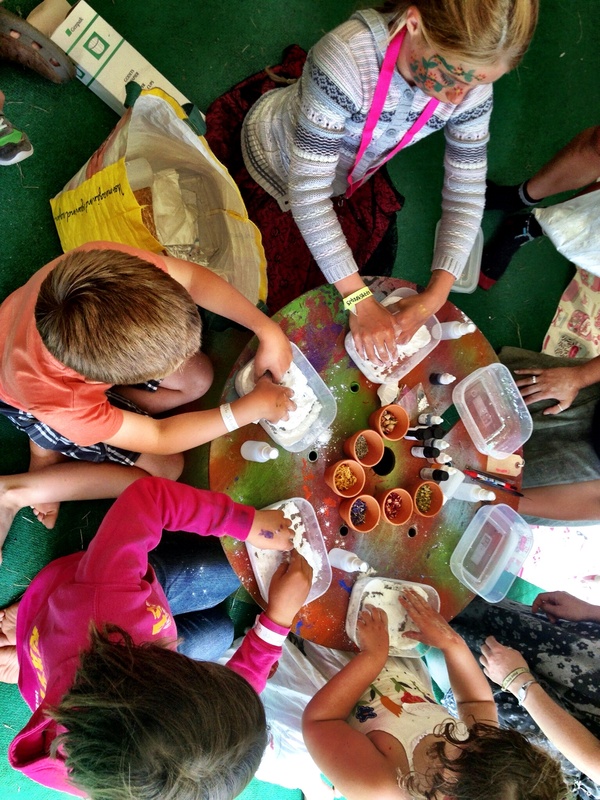 I’ve always been curious about what goes on, slightly jealous of the glitter and magic and games in the children’s fields of festivals I’ve gone to in the past. This time though I had a child of my own to take me there, and it didn’t disappoint. 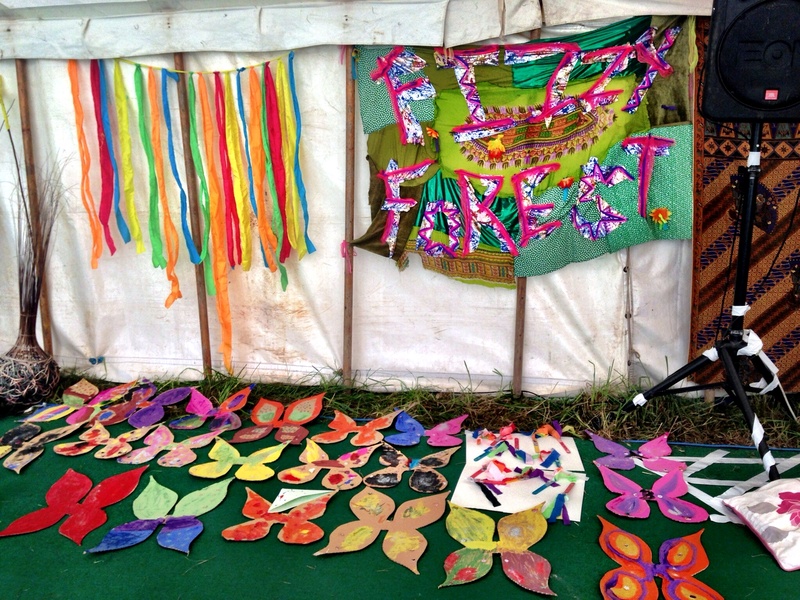 Arthur was particularly fond of frolicking with the fairies, and though I didn’t keep him still for long enough to do any crafts there was a great selection of different things to make – from a stunning array of masks to wings, wands and hula hoops. 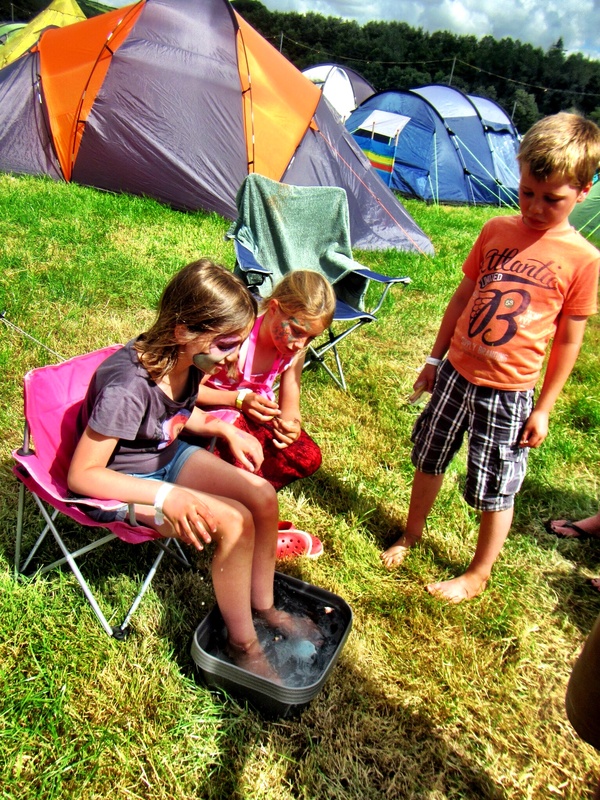 One thing we certainly didn’t expect is just how HOT the weekend was going to be! We had a couple of showers, but nothing like the torrential downpours the Met office had been promising. 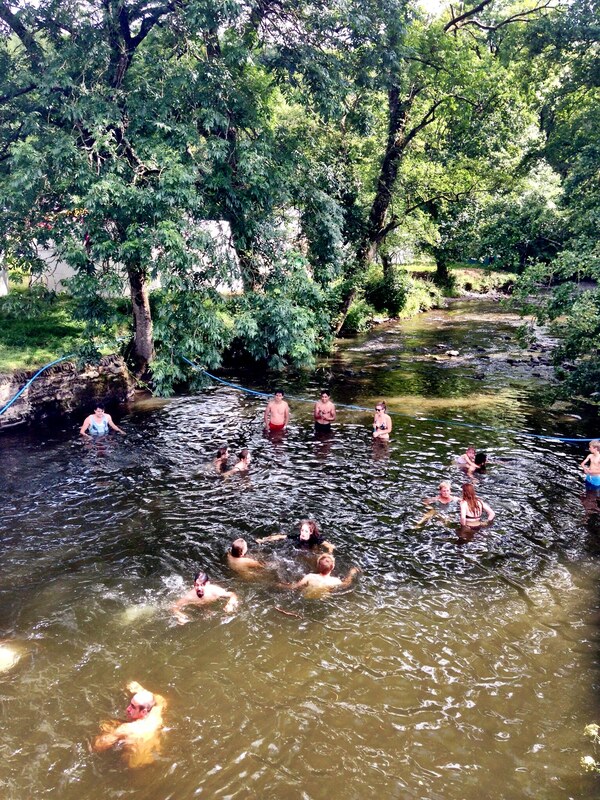 Lots of people took the opportunity to cool off in the river – a pretty cool feature to have in the middle of a festival, though I’m glad no-one took an unintentional dip in the middle of the night! 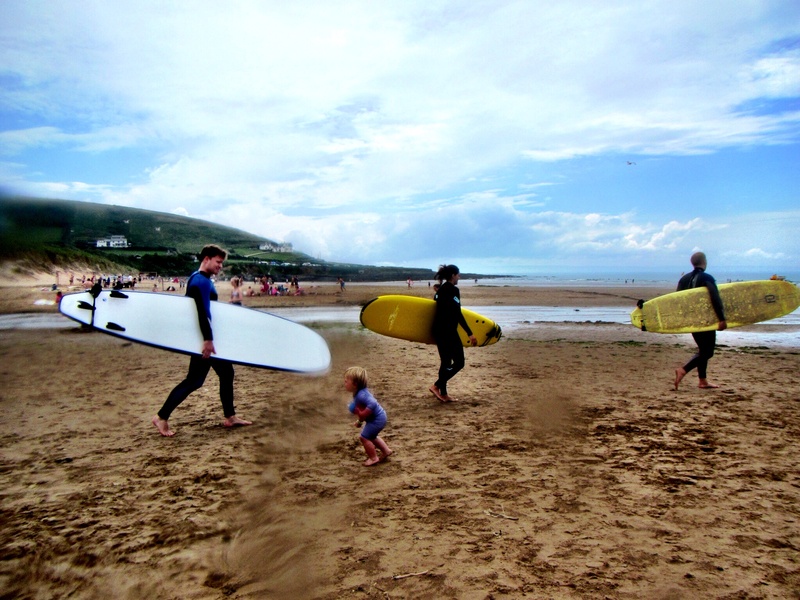 We were sorely tempted to join them, but instead decided to head to the beach on Saturday afternoon. 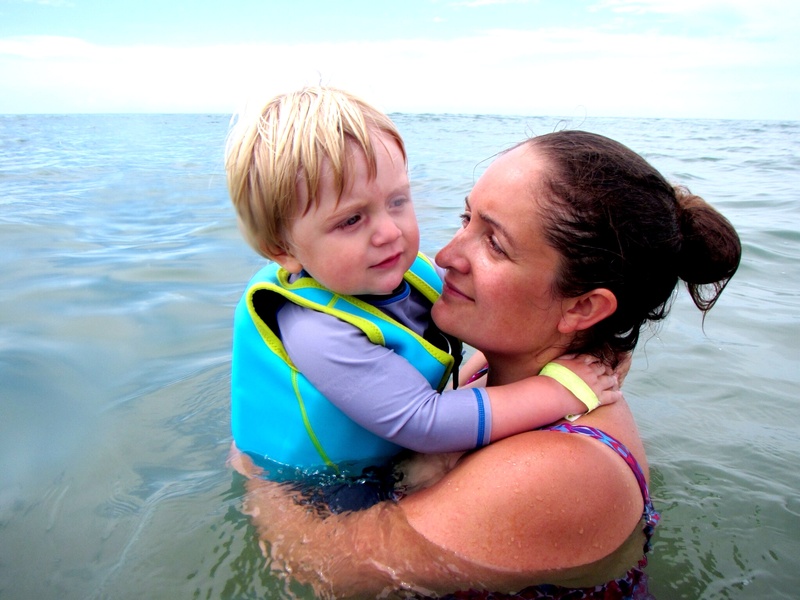 The sea was heavenly, and it was all we could do to tear Arthur away from running on the sand and splashing in the waves. I’ve never actually been to the North Devon coast before. 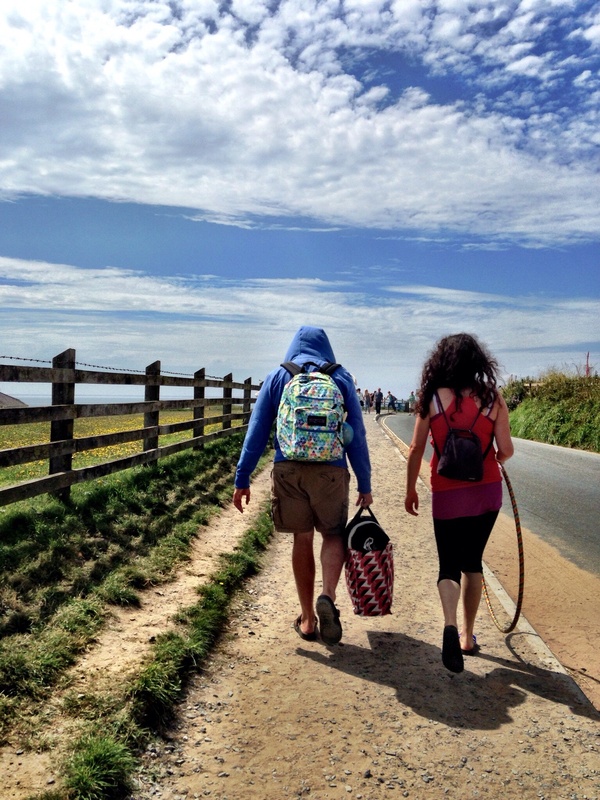 It was pretty stunning – we’re already planning our next trip! With the myriad of different things to do it was easy to almost forget we’d actually come for the music. The line-up was eclectic and exciting, a perfect blend of bands I know well and was looking forward to seeing again and people I hadn’t heard but wanted to! 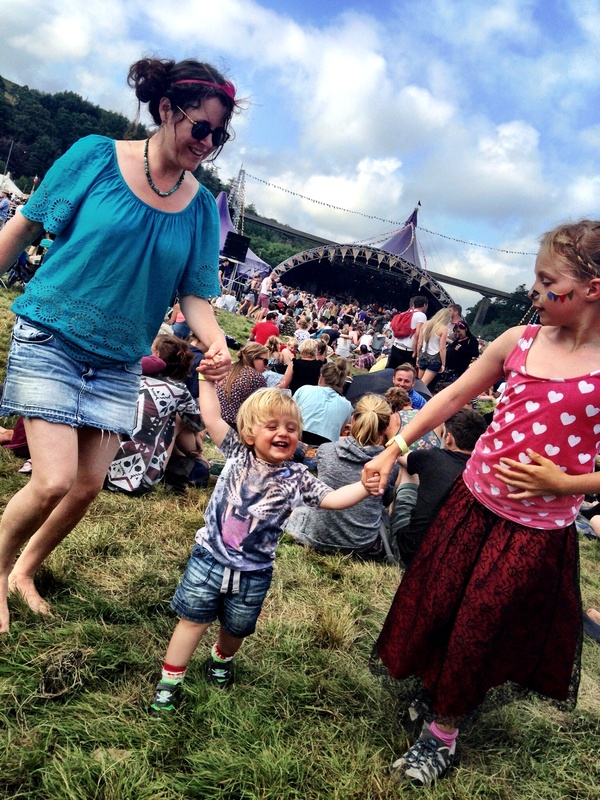 Arthur absolutely loved the music – whether he was chilling out in the afternoon sun at the Communion stage, jigging around in the sling to Jack Johnson or dancing to Sierra Leone’s Refugee All Stars with a huge grin on his face. 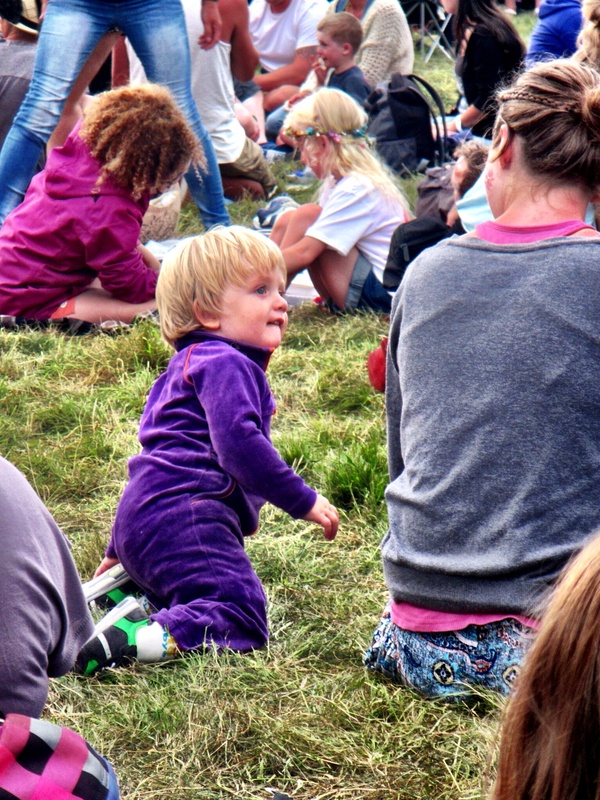 We weren’t able to get that close to the stage, mainly because Arthur has decided he won’t wear his ear defenders any more – they were awesome last summer when he was still tiny, but now that he’s a bit older I think we’re going to need to work on getting him used to them! 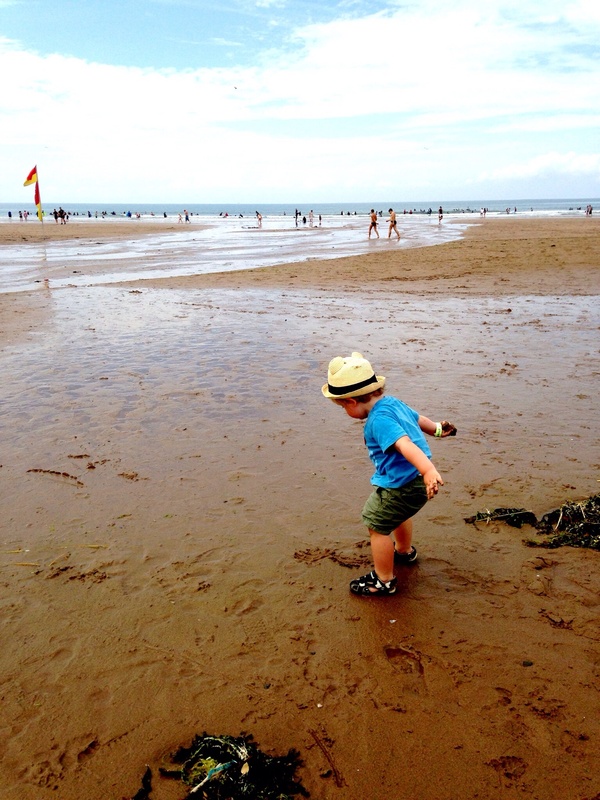 The distance didn’t matter too much though – especially once Arthur was up on his Daddy’s shoulders so he could see what was going on. 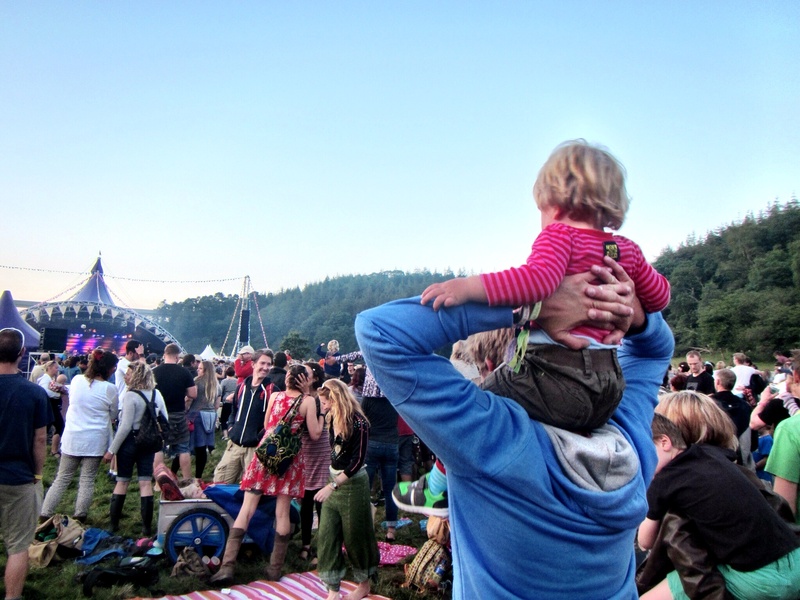 I think he found the live music really inspiring, and it’s inspired me again to find more gigs to take him to. 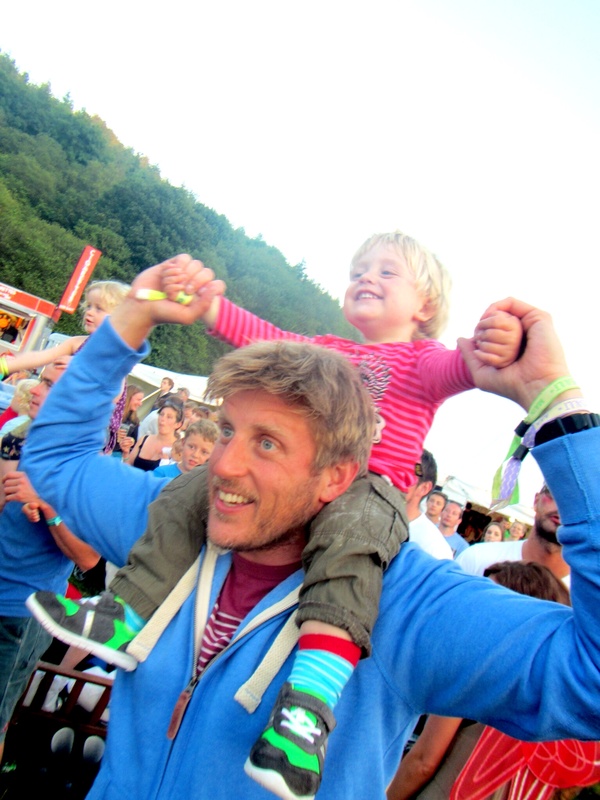 Festivals are brilliant for introducing kids to the sheer joy of live music – especially one that’s so completely family friendly as Somersault. 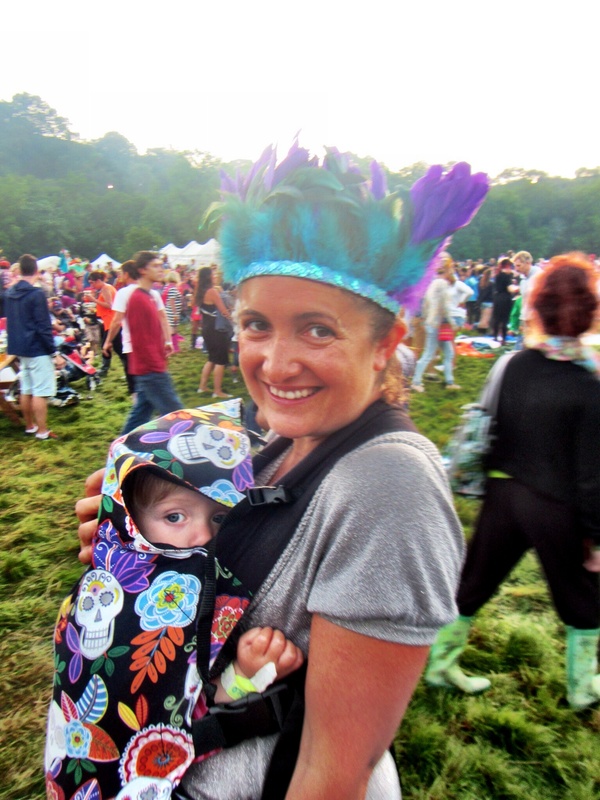 It’s brilliant as a parent too to be able to do the things that are not so easy with a kid in tow – and to know that they’re enjoying it too rather than being stuck at home. 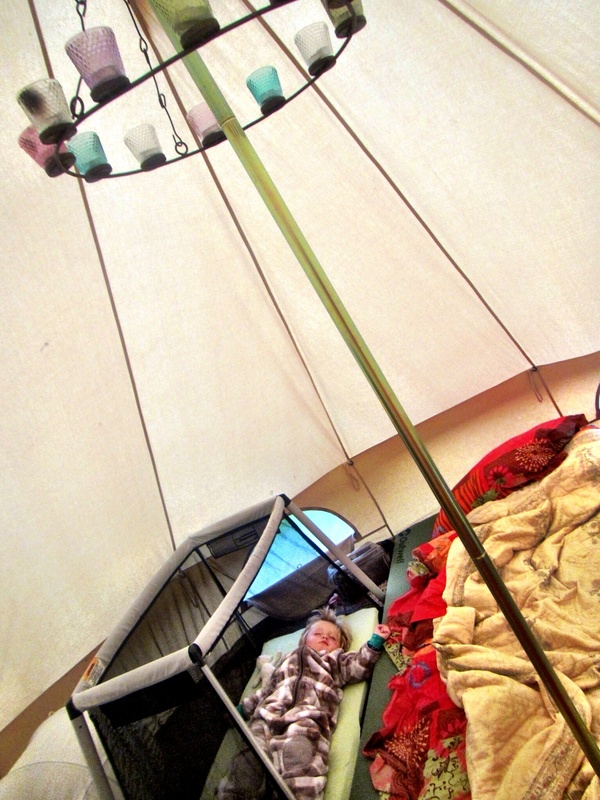 As the sun went down I was very glad to have a baby that still loves to be worn – he snuggled up in the Connecta where he was warm and safe, nodding off not that much later than his usual bedtime. Which meant I could stay up and enjoy the rest of the acts! Ben Howard was superb on the Sunday night. I really love the new edgier direction his music seems to be taking, though it was great to hear the crowd singing along to the old favourites too. My absolute musical highlight of the weekend was definitely Bear’s Den though. They played a fantastic set late on Sunday night on the Communion stage, with haunting melodies and infectious rhythms carried along by the banter of the band. Even with such a packed weekend I still left feeling like there was so much we didn’t see or do or hear – which is a very good reason to go back next year. 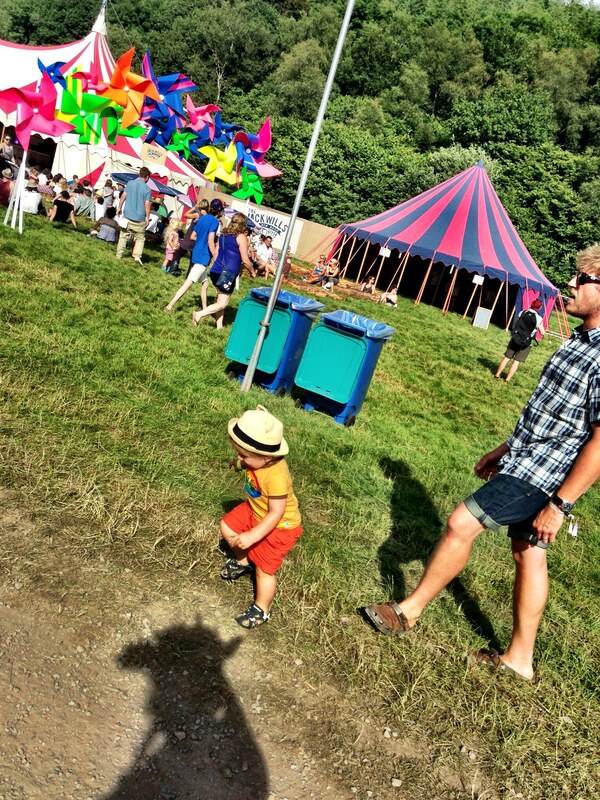 I think Arthur’s just going to love festivals more and more as he grows up. 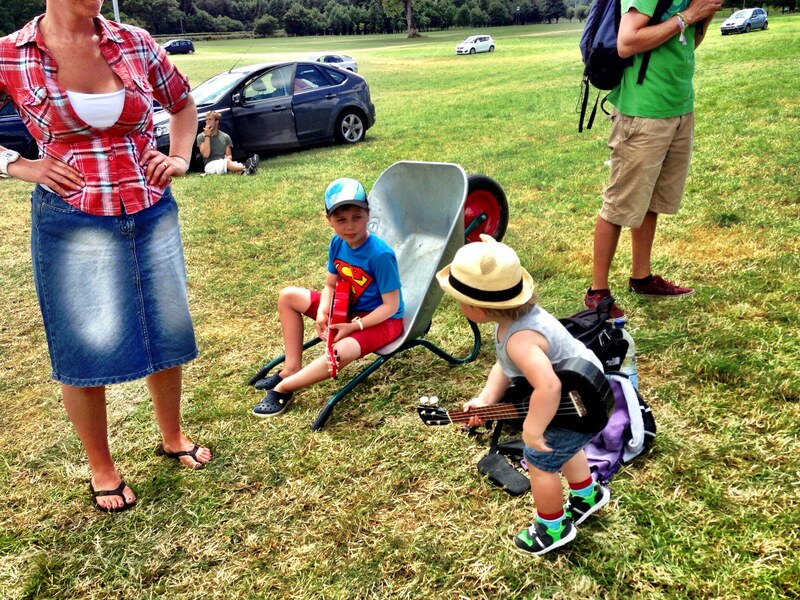 He was looking a little forlorn as we packed away the tents, and rocking his ukelele with renewed vigour even as we were trying to pack him into the car to make our way home. 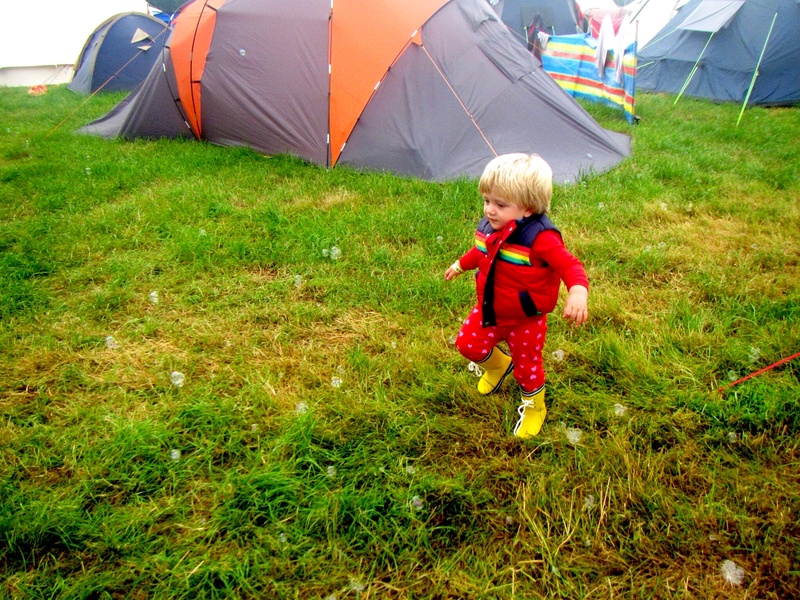 This entry was posted in Sophie is parenting, Sophie is partying, Sophie is travelling and tagged festival, kids, North Devon, Somersault, summer on July 22, 2014 by sophieblovett. Oh my I love this post. The whole event looks so special and even as a non camper I can see this being wonderful. 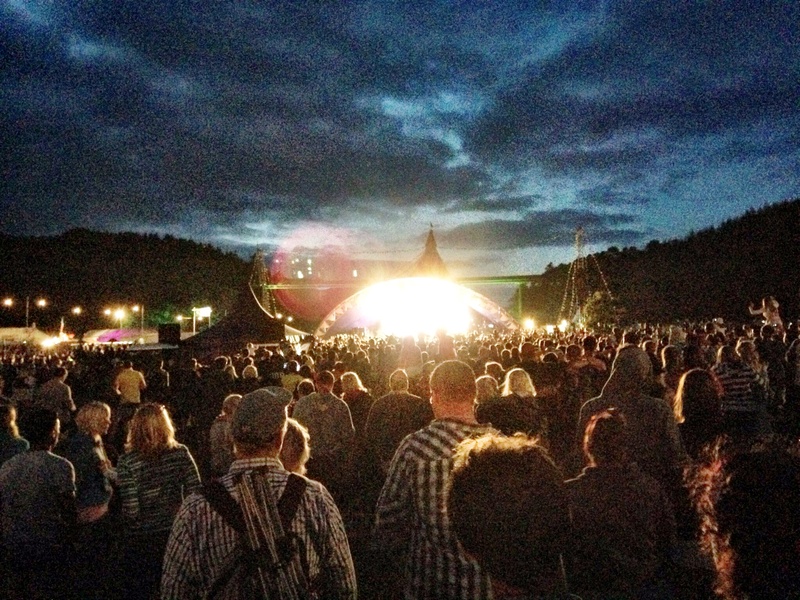 I love the contrast at the festival from day time to night time. What a great experience at any age. The river looks just like the river here at Coombe Mill, there were plenty paddling and fishing in ours today too, a great natural way to cool off. 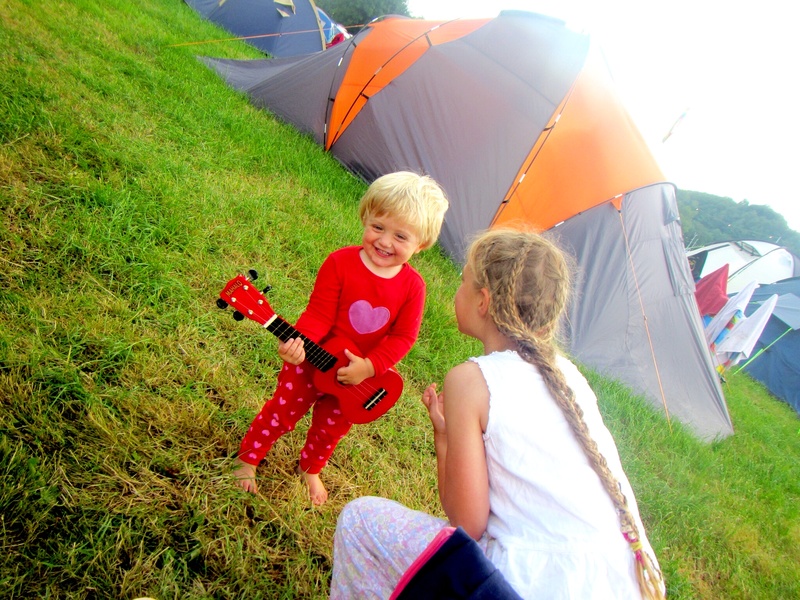 Thank you for sharing your festival fun on Country Kids.